If there weren't ads out there telling us "the season" is coming, the weather itself is reminding us: Christmas is on the way! Retailers depend on Christmas to make their annual margin and use ads to drive the sales up. While there's always a family we seem to know that spends itself silly in a celebration of excess, there's a very different reason for the season, and that is driving why I am supporting the following. Last year, the railroad collected more than 5,500 pounds of food and 1,000 toys, which were all distributed in the San Luis Valley of Colorado and in Northern New Mexico. 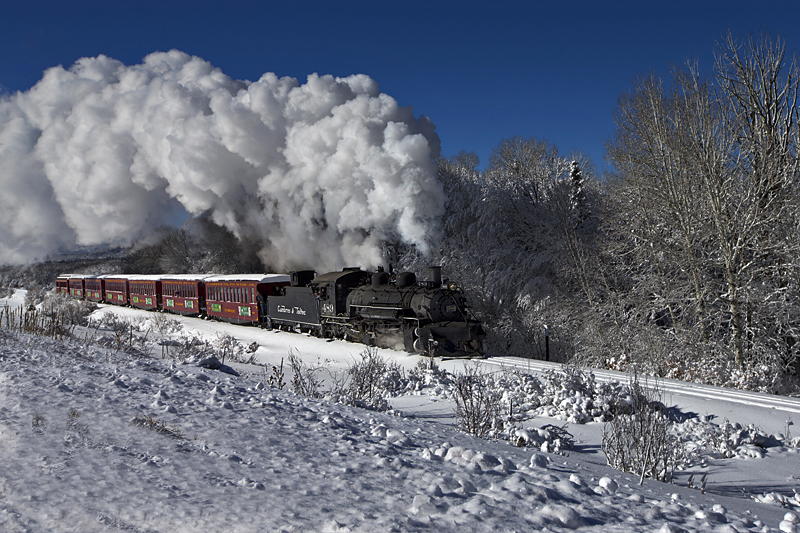 The highest and longest narrow-gauge steam railroad in America is owned jointly by the states of Colorado and New Mexico with stations in both Antonito, Colorado and Chama, New Mexico. This is a wonderful opportunity for families to experience the thrill of a steam locomotive in winter, while also helping those in need in the community. 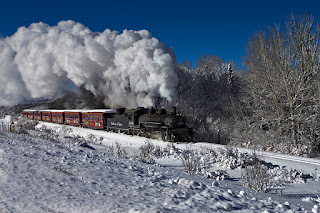 The Antonito departures will climb the foothills of the San Juan Mountains to the Ferguson Trestle and back, while the Chama departures will run to the Lobato Trestle and back. Santa and Mrs. Claus will visit with children onboard and Santa’s elves will serve complimentary hot chocolate and cookies during the ride. All food and toy donations are distributed to the Marine Toys for Tots Foundation from Antonito and the Antonito Food Bank to recipients in the local area. 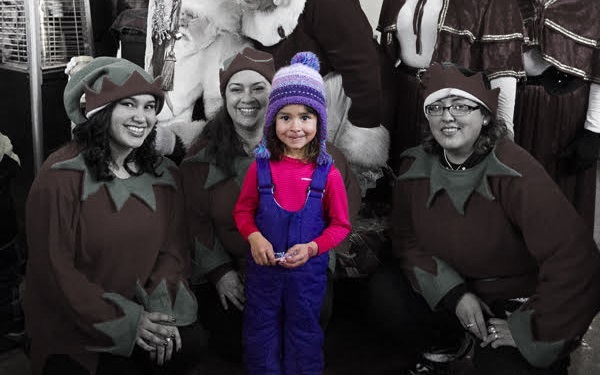 Food and toy donations in Chama are distributed locally by the Chama Fire Department Toy Collection and the local Chama Valley Pantry operated by the Rio Arriba County Echo Food Bank. To make your reservation on the C&TS RR Christmas Trains, go to http://cumbrestoltec.com/schedule-fares/special-events/ and click on the Christmas Train link or call the train depot at 888-286-2737. Train rides start at 10 a.m., with the last train departing at 4 p.m.